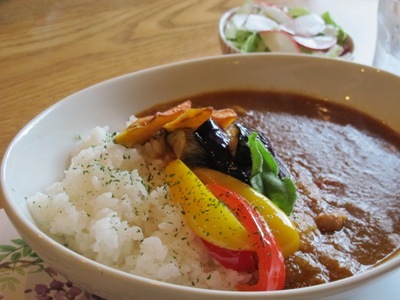 Some of my foreign friends told me it’s not easy to find vegetarian restaurants in Aomori. 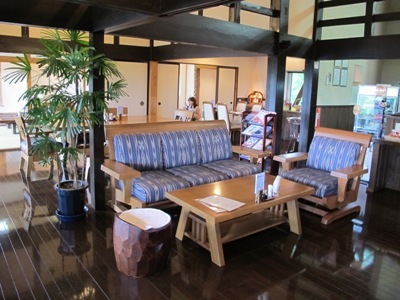 Yes it’s true for vegetarians, but for pescetarians there are quite a few nice cafes and restaurants including this cafe, “Hibiki” in Towada City. 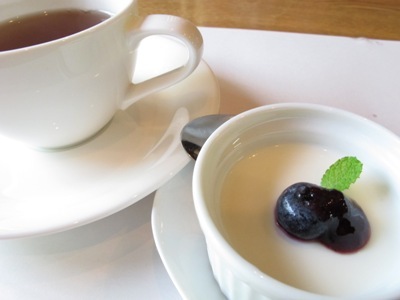 Cafe Hibiki is located in a blueberry farm. 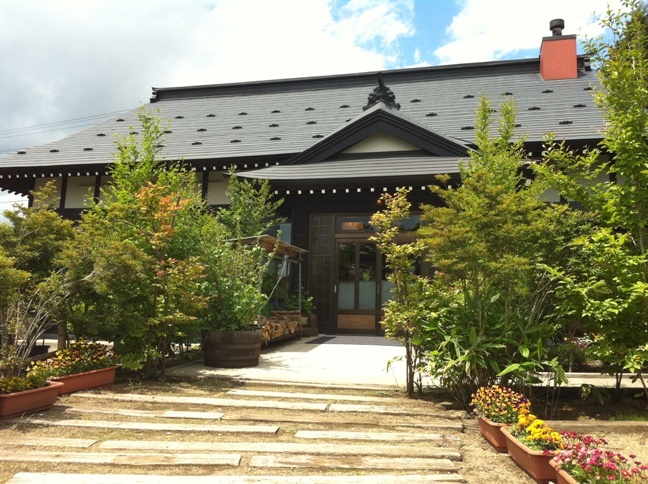 Since the old Japanese house was remodeled into a cafe with no signboard near the entrance, we first hesitated to go into this building wondering maybe this was not the right building….? I loved the way slippers were beautifully arranged. 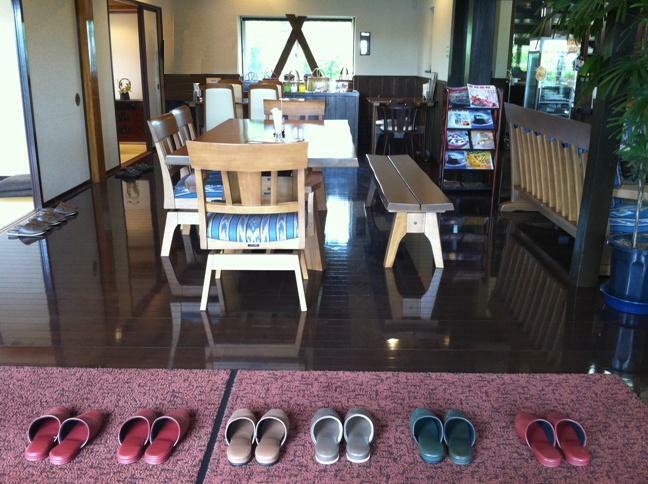 Please don’t ask what these slippers are for – you occasionally have to put off your shoes when you enter the cafes or restaurants in Japan. The menu changes every 2 weeks. Vegetable-based dishes with some seafood. They all tasted great! This cafe is not a vegetarian or microbiotic restaurant technically, but offers healthy dishes cooked with locally-produced ingredients. I think diet concious people must love this place. 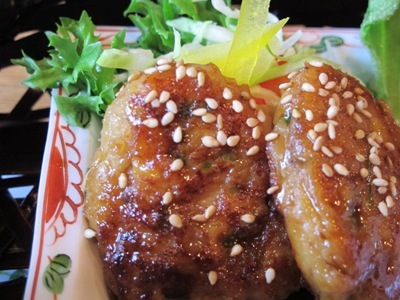 This Teriyaki Minced Chicken Balls were soooooooo delicious. 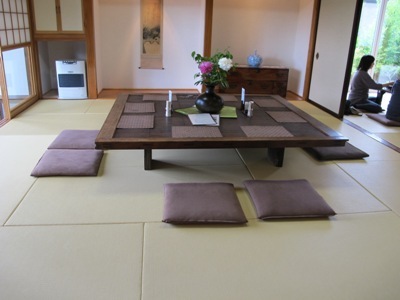 They were made by tofu and Okara-konjac(macrobiotic food) and tasted healthy. My co-worker from China, who doesn’t prefer robust foods said this lunch was the best he’s ever had in Aomori so far. We happened to find the signboard when we were about to leave….okay, the hidden cafe’s signboard is also hidden. 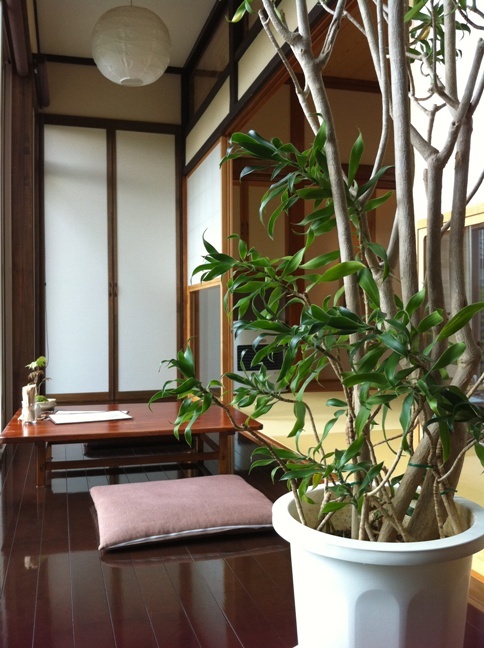 I want to visit this comfortable cafe again when I have plenty of time I can spend for lunch. U-pick is available at the organic blueberry farm in July and August. 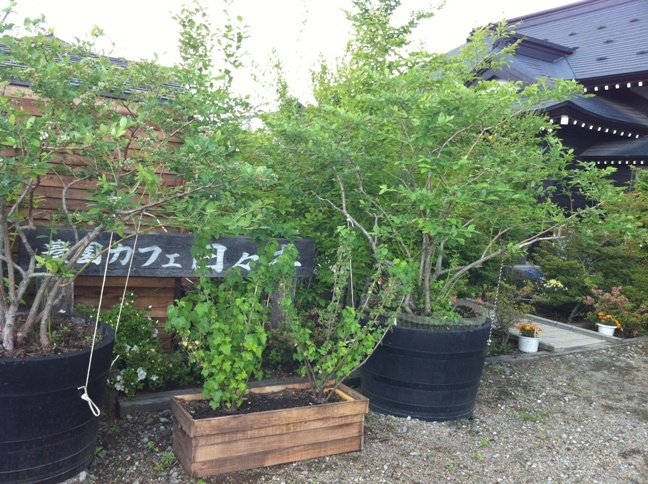 Why don’t you stop by this cafe for delicious healthy lunch and blueberry U-pick in summer?